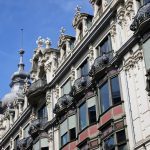 A recent Credit Suisse report, entitled: Tenants Wanted, says capital continues to flow into Swiss real estate, boosting the supply of rental properties. Against a backdrop of negative interest rates at Switzerland’s central bank, investors continue to plough money into constructing new residential properties. At the same time, declining immigration has hit the demand for rental apartments. Estimated net migration of 61,000 in 2016 is the lowest since the introduction of free movement of people with EU countries back in 2007. The net migration figure has declined for three years in a row. Strong migration from Germany, Portugal, France, Italy and the eight Eastern European EU countries has now also slowed down significantly, says the report. The mix of immigrants has reduced demand further. Recent new comers have less money. Comparing numbers in 2016 to averages from 2011 to 2015 shows big falls in numbers from Portugal (-8,400), Spain (-2,200), France (-300) and Germany (-4,100). At the same time there are more poor migrants, many of them refugees, who have less to spend on rent. 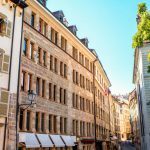 Across Switzerland, the rental vacancy rate had risen from 1.77% to 1.99% by mid 2016, the sharpest annual increase and the highest level over the past 15 years. Advertised rents fell 1% in 2016.
Credit Suisse says that the supply of rental apartments surged upwards in 2016. 4% of the rental apartment stock was advertised to let on online portals at the end of 2016, above the 3.4% averaged over the previous 10 years. An advertisement remained online for an average of 43 days, 9 days longer than a year earlier. For 25% of apartments the average time was over 121 days. While rents have come down it does not necessarily mean it is now easy to find a place to rent. True economic demand is more than a desire to rent. It is also the ability to pay the price. And prices are still too high for many. Rent controls are one mechanism for containing prices however these come at a high cost. Credit Suisse looks at their impact on the rental market in Sweden. In Sweden, maximum rents are set by collective bargaining. Properties owned by municipalities are rent at these rates while privately owned ones can be let for 5% more than the municipal maximum. Partly as a result of these rent caps, the average monthly rent for a three-room apartment in Greater Stockholm (CHF 926) compares favourably to one in Greater Zurich (CHF 1,479). The downside is that in Stockholm the average waiting time for a municipal apartment is 8 years. In the city centre it can take as long as 30 years. Almost half a million people currently have an apartment application pending in Stockholm, a city of 1.4 million people. Part of the problem is that most renters on old leases won’t give up their apartments because they know they’ll end up back on the waiting list and be forced to pay higher rent. This means retired couples end up in large places in central locations while young people are stuck commuting long distances to work. In addition, artificially low rents have stifled investment in real estate. The rate of construction in Sweden between 2000 and 2014 was half that of neighbouring Finland. Corruption is also an issue. Some apartments are illegally sublet at rents exceeding the lease rent and the difference is pocketed by the leaseholder. And, some private landlords get around the rent cap by charging key money or selling furniture at massively inflated prices, practices which are against the law. The report says that some start-ups in Stockholm recently launched a public appeal to solve the housing problem as they were having difficulties attracting staff. 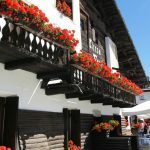 Credit Suisse says that compared internationally, Switzerland’s rental accommodation market, based on a compromise between tenant protection and cautious market intervention, works very well, although it points out the unintended consequences on tenants of regulation of the rental accommodation market in Geneva. It appears there are no easy solutions to the accommodation conundrum. 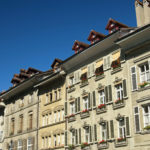 But with no slowdown of rental apartment construction in sight Swiss renters can at least expect some relief.